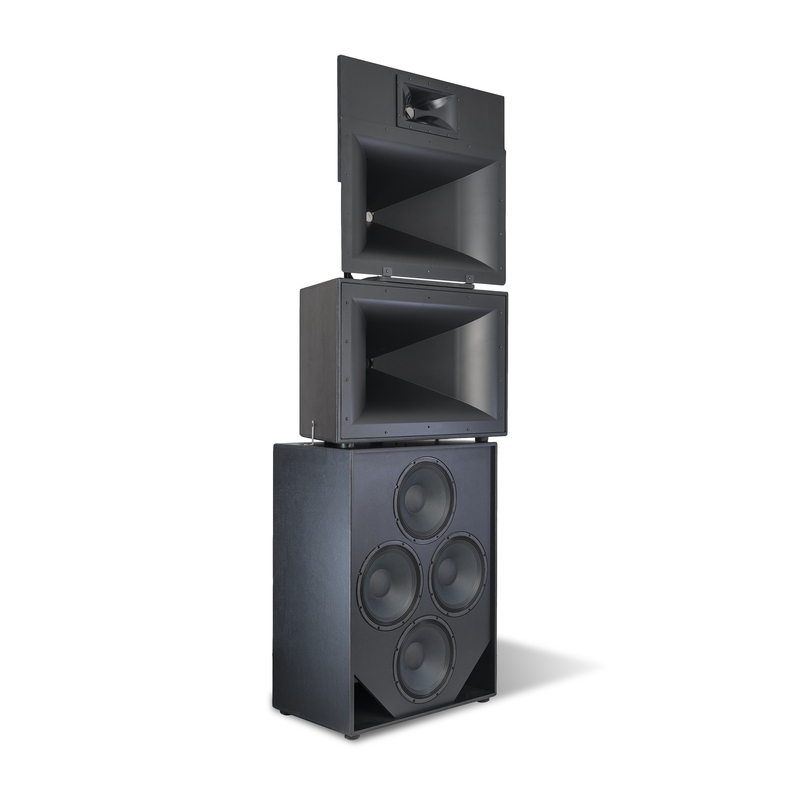 QuadAmp systems are 4-Way speakers designed to have each system component (High Frequency/Mid Frequency/Mid Bass/Low Frequency sections) individually powered by four separate amplifier channels. 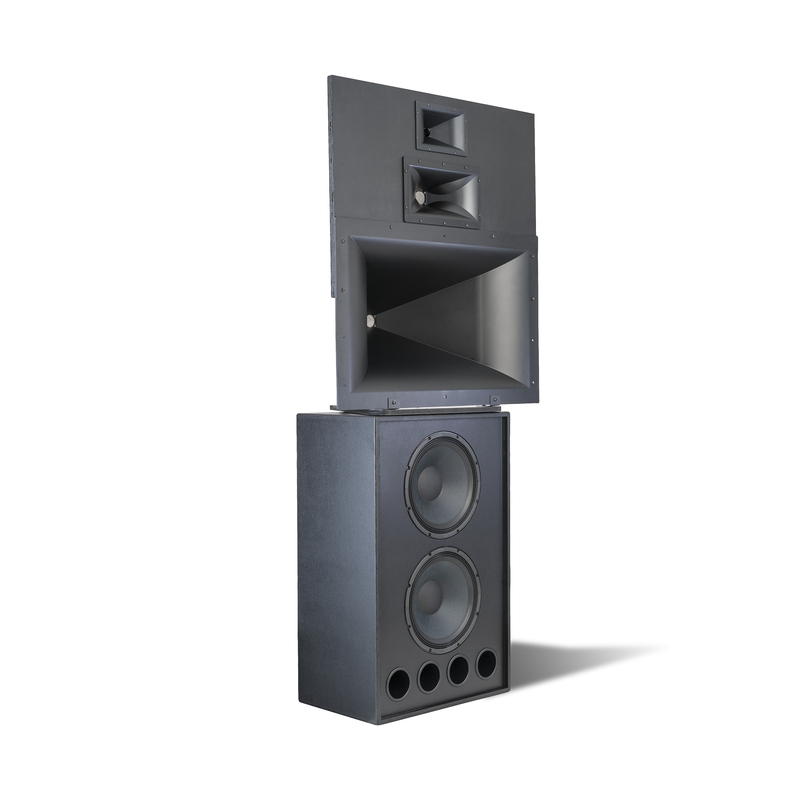 This configuration provides the highest sound pressure levels (SPL’s) for the largest auditoriums and allows for both input level adjustment and the application of the most precise electronic crossover frequencies and time alignment for all system components on an individual basis. Following on the design of the KPT-MCM Grand system, Klipsch has designed the new KPT-Cinema Grandeur fully horn-loaded, four-way cinema system using state-of-the-art drivers and a redesigned low frequency enclosure that’s only 31” deep. The result is the ultimate in audio performace for the largest and finest exhibition spaces. 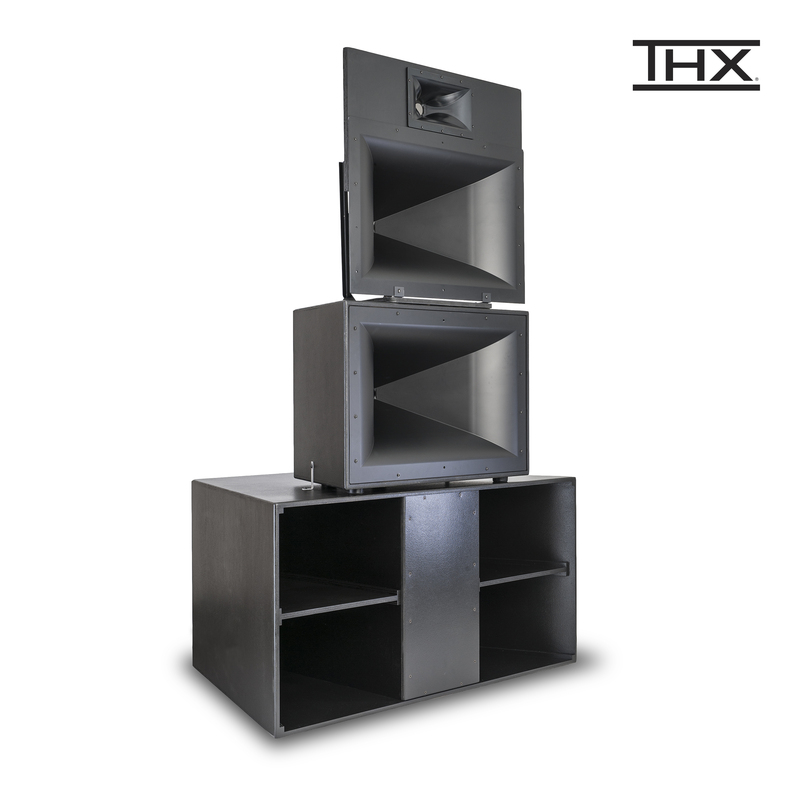 The first and only fully horn-loaded THX®-Approved four-way cinema system the KPT-MCM-II-Q affords the ultimate in audio performance for larger exhibition spaces and in particular those grand auditoriums fitted with digital sound reproduction equipment. Following the success of the KPT-MCM-4-T Grand fully horn-loaded four-way cinema system Klipsch designed the new four-way KPT-745-Q to deliver similar movie chills and thrills but from a much shallower cabinet. 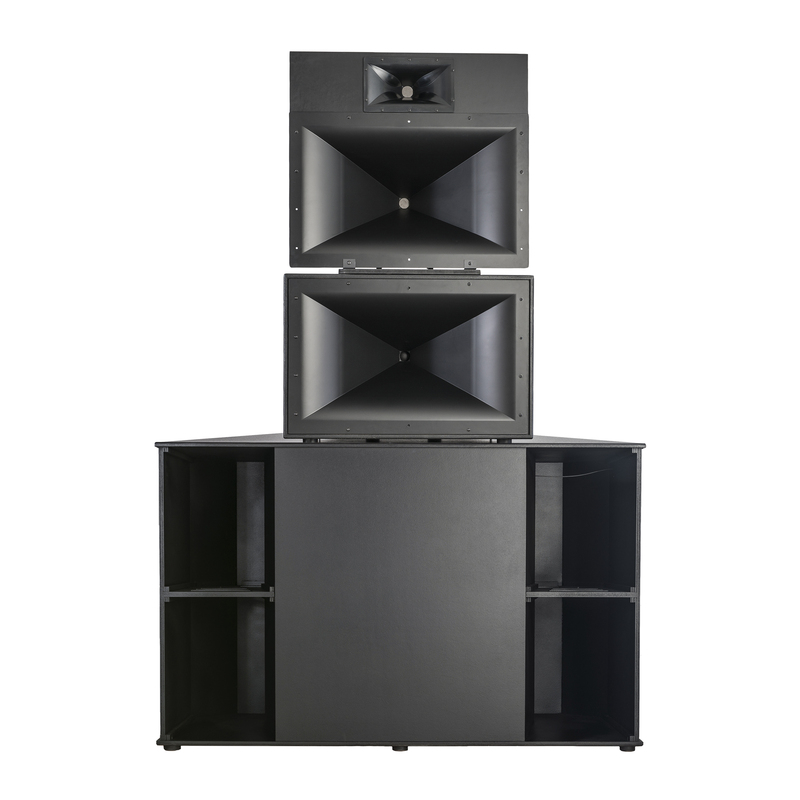 Four-way configuration for improved high frequency detail with its 24-inch depth allows for more real estate where it matters: in the auditorium.